The 44th Biennial Clergy-Laity Congress of the Greek Orthodox Archdiocese of America will take place July 1 to 5, 2018, in Boston, Massachusetts, hosted by the Holy Metropolis of Boston and His Eminence Metropolitan Methodios of Boston. Concurrently, the National Greek Orthodox Ladies Philoptochos Society will hold its biennial convention. 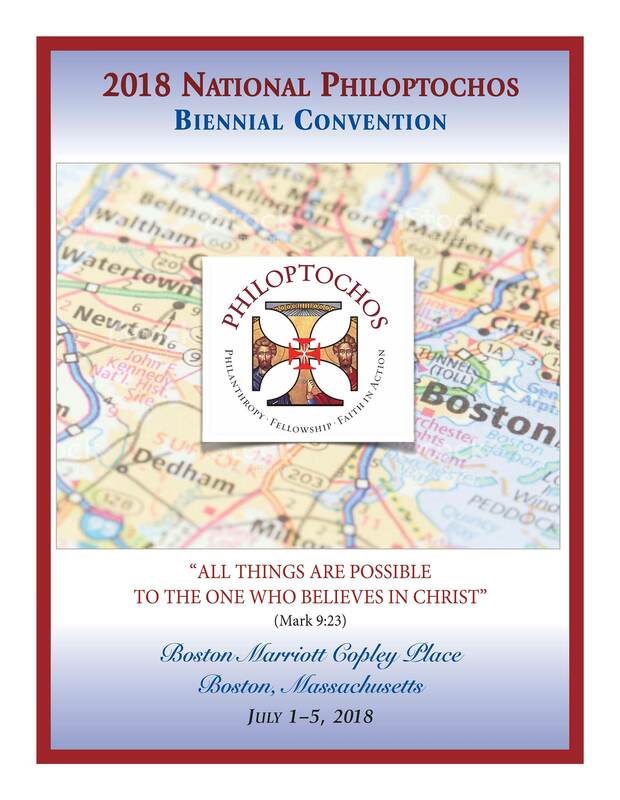 The venue for the 44th Clergy-Laity and the Philoptochos Convention will be the Boston Marriott Copley Place Hotel. The theme of the 44th Biennial Clergy-Laity Congress will be All Things Are Possible to the One Who Believes in Christ (Mark 9:23). His Eminence Archbishop Demetrios, Geron of America, announced the theme in his recent Encyclical and explained that, As Orthodox Christians we affirm our faith in Christ, a faith that makes the impossible possible, the unreachable reachable, the non achievable achievable. We know that our faith in Him leads us in our worship and ministry. We are also led by the example of our Lord in seeing the limitless possibilities of our faith. His life and ministry show us that belief in Him leads to healing, renewal and hope. Belief in Christ defeats the power of sin and death, transfigures our lives, and leads us on the path of salvation. The Congress will begin with the Hierarchal Divine Liturgy, Sunday July 1, 2018, at the Greek Orthodox Cathedral of the Annunciation in Boston. The official opening of the Congress will take place the next morning, Monday July 2, with the Keynote Address by Archbishop Demetrios. More information on the Clergy-Laity Congress program and the registration process for delegates, observers and other participants will be forthcoming.